A corrugator is a set of machines designed to bring together three, five or seven sheets of paper to form single, double or triple wall board in a continuous process. 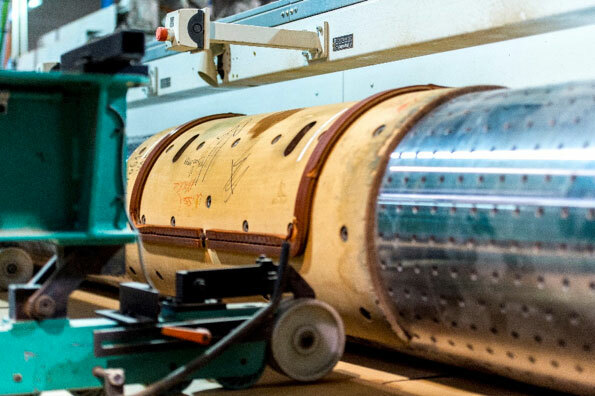 Three sheets of paper (containerboard) are unrolled simultaneously on the corrugator: the inner liner, the outer liner and in the middle, the medium (also called fluting). The medium sheet is given a "wave". This corrugation is obtained by pressing the sheet under heat through grooved metal rolls. This operation gives the paper its fluted shape in the single facer. Starch is applied to the tips of the flutes on one side, the outer liner and the inner liner are glued to the tips of the corrugated medium sheet of paper from the outer and the inner side respectively. 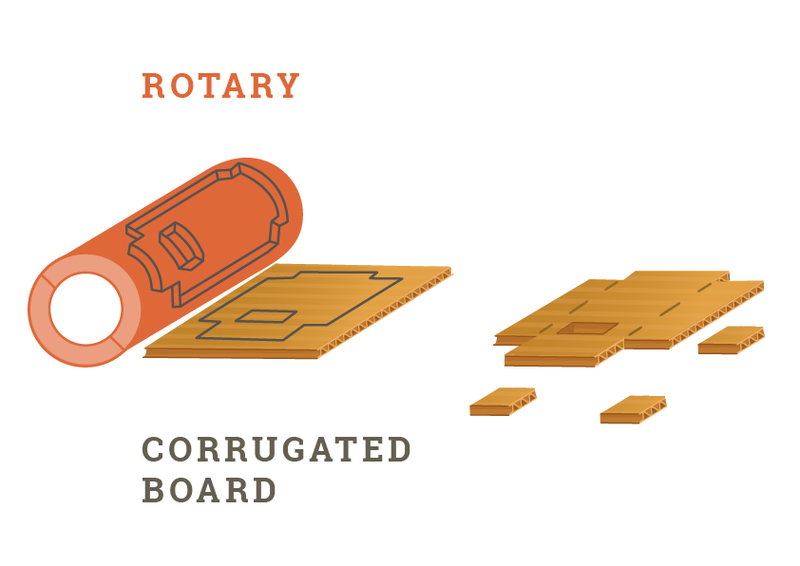 The Corrugated board comes out of the corrugator as a flat board sheet. The converting of corrugated board includes all processes of transformation from a flat board to a finished product (mainly packaging). These processes consist of printing, die-cutting, folding and gluing (taping or stitching). Different operations are carried out based on the customer’s specification and according to the type of packaging. The converting process varies according to the type of packaging. Whatever the type of packaging, printing on corrugated sheets is always possible. The flexographic print process is commonly used for printing on corrugated. In the recent years the digital direct print is entering the market offering new possibilities. Printing can be done « in-line » or « off-line ». The most of corrugated containers are manufactured on the Flexo-Folder-Gluer (FFG) machines which are combining printing, dire-cutting, folding and gluing. Those processes can be also performed on separate machines. The packaging is then palletised and ready to be shipped flat to the customer. Die-cutting is a process where the board is cut and creased with a specifically designed form to create the unique packaging share required by the customer.